Published on October 4, 2011 by cara.b.b. well, it doesn’t exactly feel like fall today (it’s 85! ), but we’ve had a few crisp days and the trees are just beginning to change. football is on tv, soup is on the stove, and pumpkins are on the porch. it’s the time of year when i get excited about reaching for different clothes in my closet and putting away the sundresses and sandals. 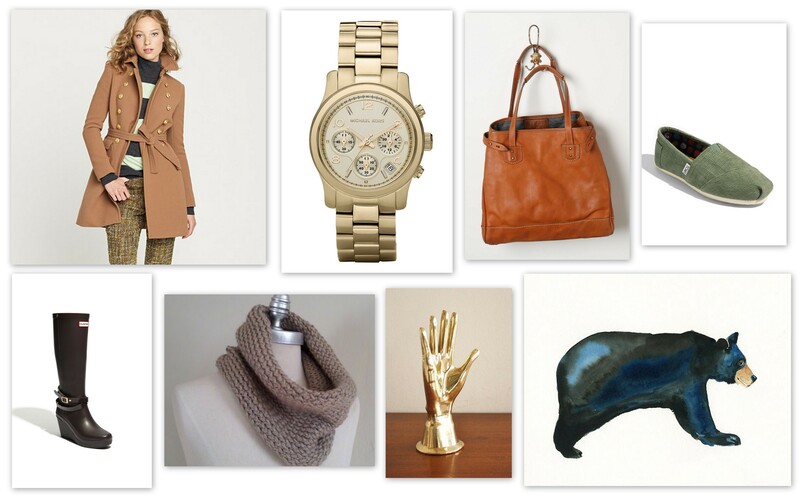 though kansas city hasn’t accepted that it’s really arrived, here are a few things on my wish list this fall.